This month, we have tested a small device which could quickly become one of our indispensable thing in our range of triathlete, useful for recovery, for pains, to strengthen… Anyway, trying it is adopting it! The electrostimulation, who has never heard about it? As a remainder, electrostimulation allows to send electric impulsions to muscles in order to get a contraction. 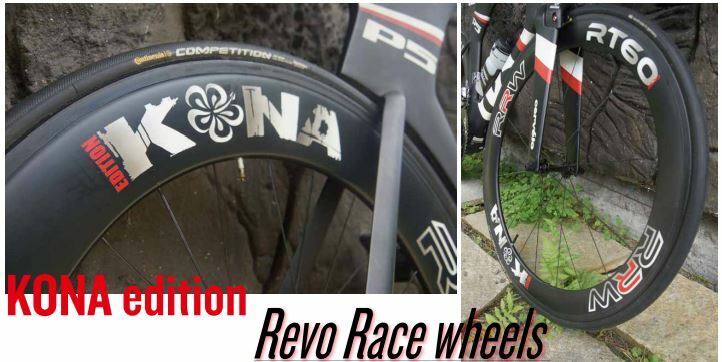 Used and proved to be useful for varied medical indications, electristimulation has been slowly adopted by athletes who saw in it a tool allowing to complete a physical preparation or accelerate recovery after strong solicitations (races or intensive trainings). 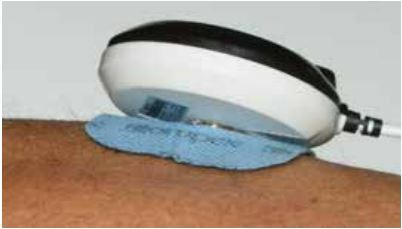 One of the most used functions of this device is the active recovery, allowing to accelerate the elimination of toxins which accumulate in muscles via muscular contractions fostering a draining effect by the increase of blood flow, a painkiller effect by the increase of endorphins and a relaxant effect. Finally, when you use this kind of program in the 3 following hours after an activity on the most solicited areas, muscular recovery is accelerated and muscle soreness decreased. Magical, isn’t it? But of course, electrostimulation doesn’t stop there, because it will be an ideal complement of the muscular physical preparation via the 4 basis qualities of the physical condition: endurance, resistance, strength and explosive strength. Experts recommend the use of these programs on the most used muscles or muscular groups with 3 sessions a week during a preparation period. 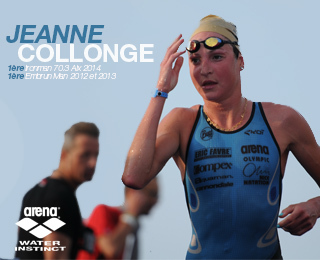 And that’s good because for triathletes it is the good period. 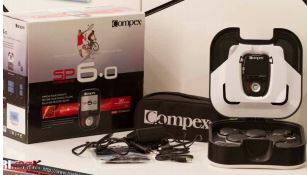 Compex is THE specialist in electrostimulation. From Switzerland, the brand has made for 20 years its expertise in reeducation, treatment of the pain and sportive training with its flagship technology: electrostimulation. 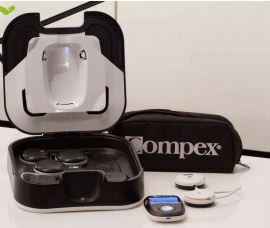 For many years, Compex has been working on making its technology more and more convivial in order to make benefit as many people as possible and to keep innovating such as the Compex MI (Muscle Intelligence) and Compex Wireless. 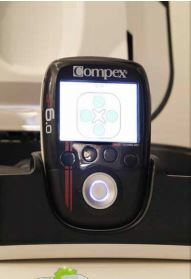 The Compex MI personalizes automatically the parameters of stimulation according to the physiology of each user. The work becomes more comfortable and thus more efficient. 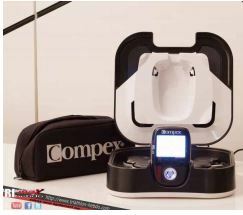 The Compex Wireless, as its name says, is the first electrostimulator in the world to offer a professional solution, sure and efficient, of wireless muscular contraction allowing to eliminate the limits of time or place of use. The Compex Sport range is today made of a range of 4 products. 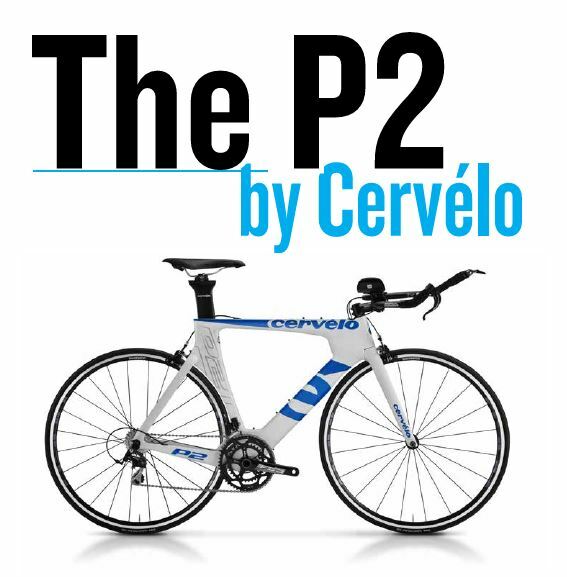 The two first elements of the range, the SP2.0 and the SP4.0 offer the wired technology. The difference between the two models will mainly be on the functionality Muscle Intelligence and on the number of available programs. 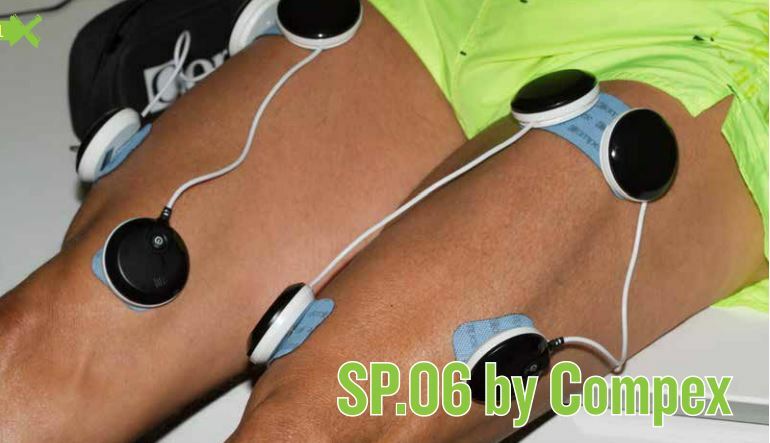 Then the models SP6.0 and SP8.0 which propose the Compex Wireless technology. When opening the box, we discover inside a plastic casket. Convenient to correctly tidy up your device… but above all this casket acts as a charging station! Inside, we find the 4 modules and the remote control, center of the system. Then the indispensable accessories : the charger, the electrodes, a USB cable and a small carrying case for a minimal size if you want to bring it with you for the recovery after a race. Who says wireless technology, also says charging! Compex is still in its logic of conviviality, avoiding too many electric wires to load the remote control and its modules. The first thing which can surprise us is its small size. Smaller than a smartphone but a little bit thicker, it won’t take too much space! A nice colorful screen will allow you to read efficiently the information and the navigation in the menus is done via a multi-directional button agreeable to use. The use is very easy, the sober graphic interface is succeeded, it is again a good point when we know that a bad ergonomics can make the use of an electronic model very fastidious. Indispensable, Compex provides then 2 pouches of electrodes Snap 5×10 cm, 2 in 5×5 cm and 2 in 5x10cm with a fastener. 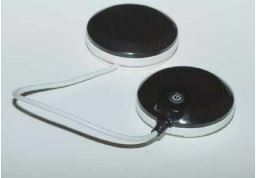 User friendly aspect: the plastic on which we stick the electrodes after use is marked «ON» on the side where it’s possible to stick and «NO» on the other side. Small details which facilitates its use and the duration of use of the products. What if we spoke about the use? The list is long and allows to meet the needs of everyone in the best possible way. Via the remote, we access to one of these categories, or directly to the favorite programs. The interface indicates the placement of the electrodes to respect according to the muscles that you want to work and the duration of the program. You just have to turn on the necessary number of modules and to let the device do! It will guide you to choose the right intensity of work thanks to the technologies MI-scan and MI-range for a better efficiency. And… that’s it! Thus it is very quick to settle and to begin a program. This simplicity is not negligible when you finish a very big training! During the program, a small scheme will indicate in which work phase you are (warm-up, contraction, active rest, relaxation) while indicating the number of contractions done and the remaining ones. For massage or recovery programs, a progression bar will appear instead. The absence of cable between the remote and the electrodes is really agreeable because it allows to be really more free than before. Add the function «pose» during a program and you won’t have this feeling to be trapped on your session. Also convenient to couple a home-trainer session and electrostimulation. Compex offers maintaining bands if you have to do more brutal movements with the modules on you. It’s almost a little physiotherapist in your pocket. Of course this note is voluntarily and widely exaggerated! But the offered functionalities will be in any case a prolongation of his/her work. The wireless function, if it can be assimilated to a gadget at first sight, is a real tool which allows to use your device much more often. The multitude of programs will allow to meet the needs of many people, even for people who don’t do much sports, offering fitness functions which allow to take care of your body. And the price ? 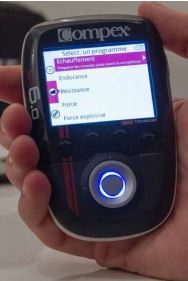 TheSP6.0 is offered at 929€. It is a budget but it will quickly be profitable if you exploit whole its functionalities. 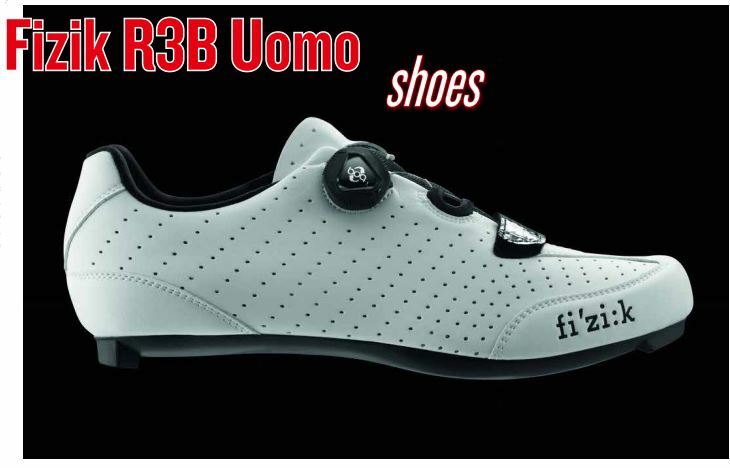 Convenient and simple of use, you can carry it easily and it can become an indispensable training partner !